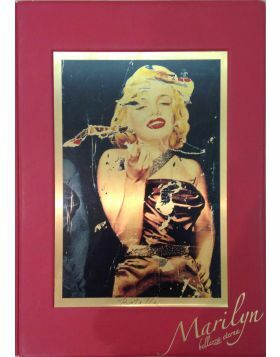 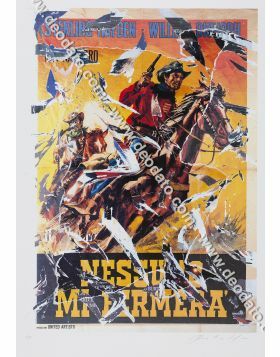 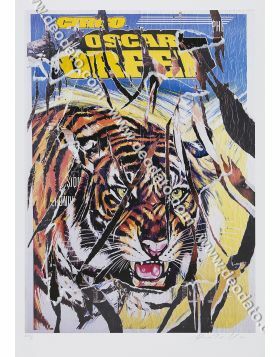 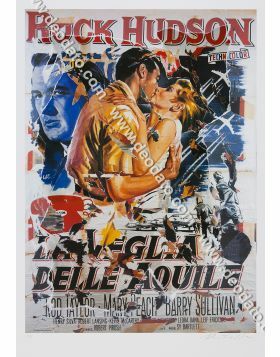 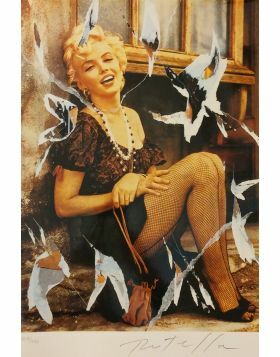 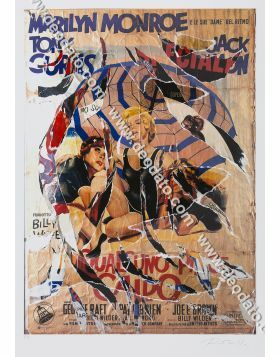 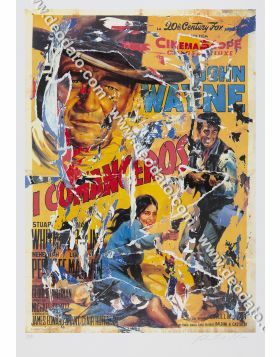 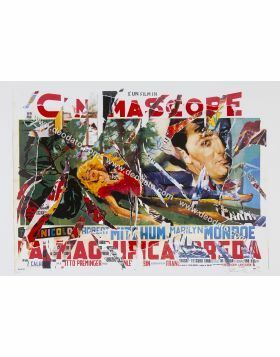 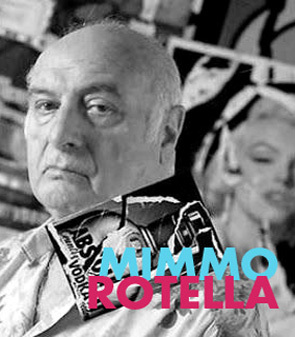 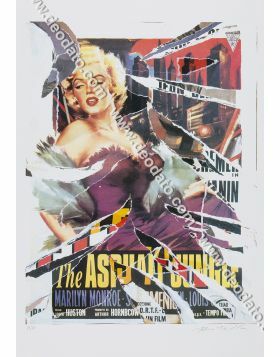 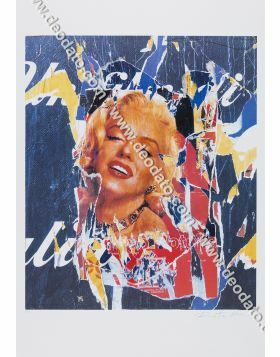 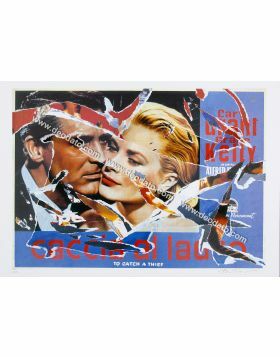 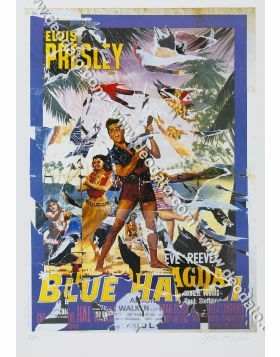 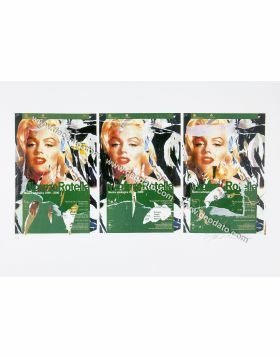 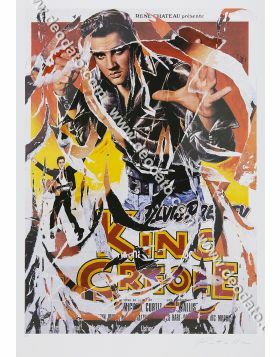 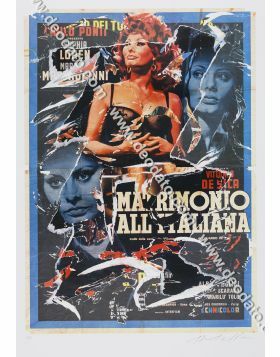 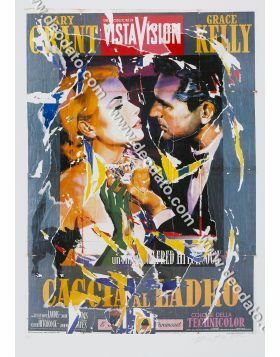 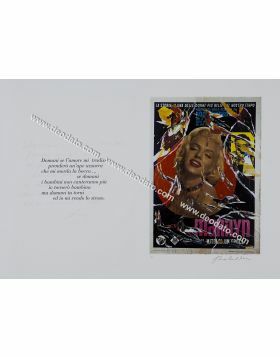 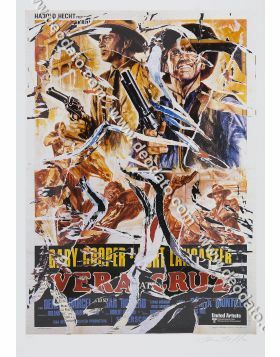 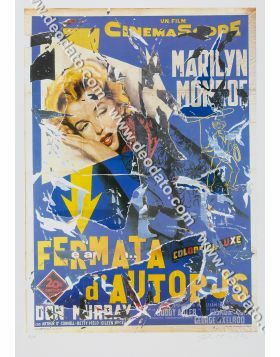 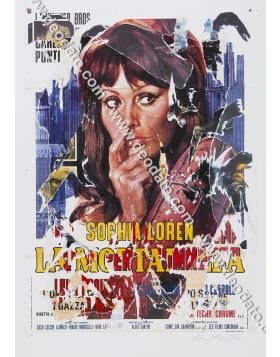 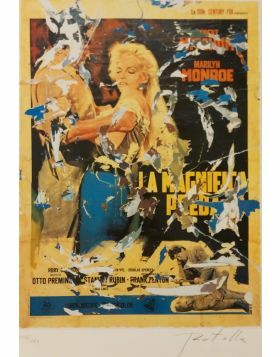 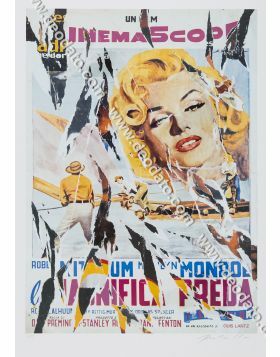 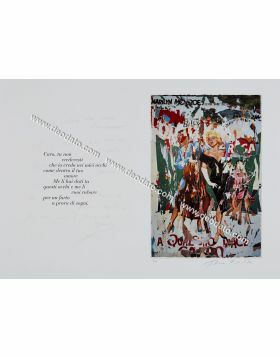 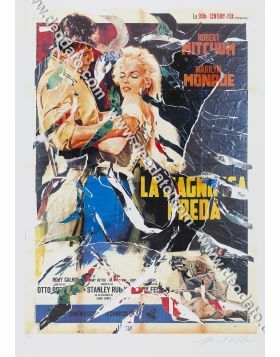 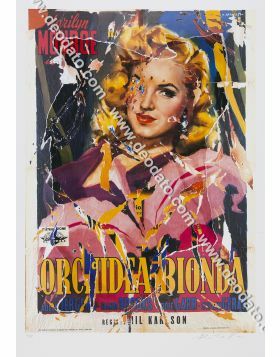 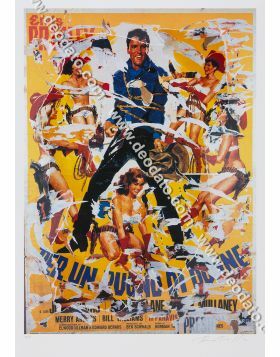 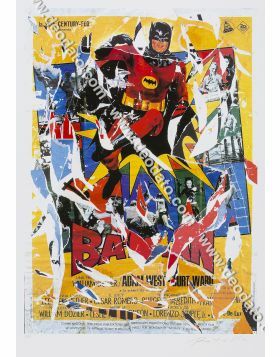 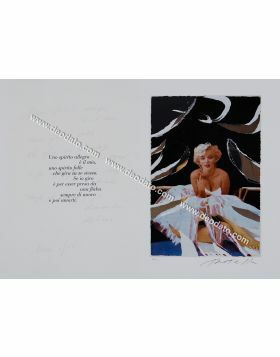 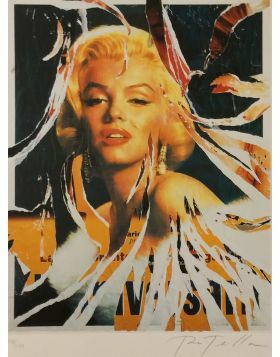 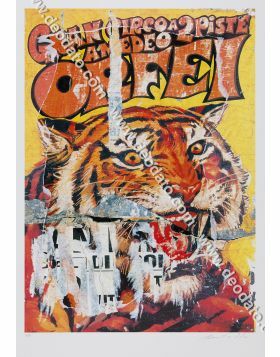 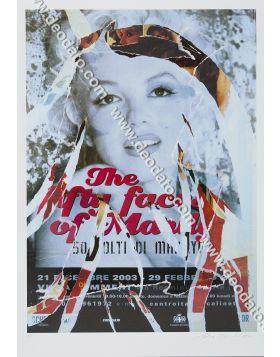 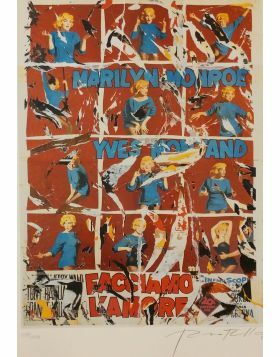 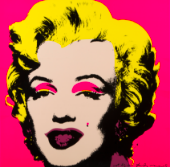 This SeriDécollage by Mimmo Rotella is an homage to Marilyn, the most icon woman of the 50's. 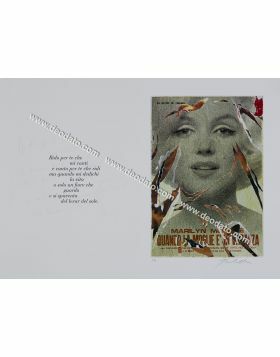 In fact, the fashion launched by Marilyn Monroe is not a hair-style as the horse tail of Brigitte Bardot, neither a head of attire, as the black dress of Audrey Hepburn but the body. 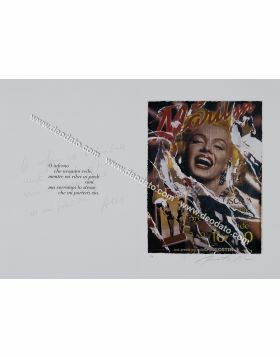 The florid body, with the round forms, is the fashion that affirms thanks to Marilyn in the years '50, period characterized by the return of the comfort after the Second World war.